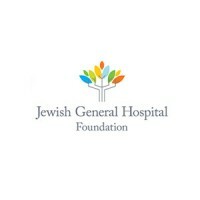 Throughout the year, the JGH Foundation hosts or benefits from a wide variety of events that call upon all of us to support initiatives that empower the Jewish General Hospital. 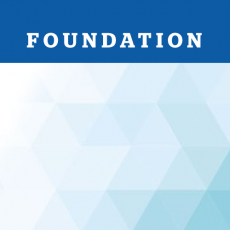 Throughout the year, the JGH Foundation hosts or benefits from a wide variety of events that call upon all of us to support initiatives that empower the Jewish General Hospital. This enables the JGH to save lives, improve patients’ quality of life and provide the most vulnerable members of society with the care they need. 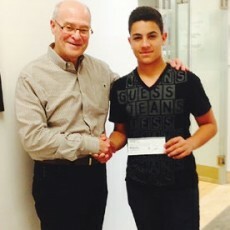 Jacob Frankiel celebrated his bar mitzvah in a poignant way by donating $500 from his gifts to the Leukemia Fund at the JGH, in memory of his grandmother, Cathy Edery-Guigui, and in honour of Dr. Stephen Caplan, Head of the JGH Division of Hematology-Oncology. 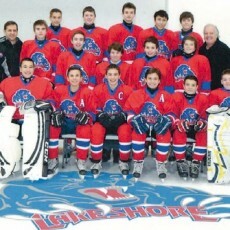 Boys aged 13, 14 and 15 from the Bantam A Tigers Hockey Team of the Lakeshore Minor Hockey Federation volunteered their time bagging groceries at the Provigo in Kirkland over a weekend, raising $400 which they donated to the Vicki & Stan Zack and Family Teenage Health Unit (THU) of the Goldman Herzl Family Practice Centre at the Jewish General Hospital. 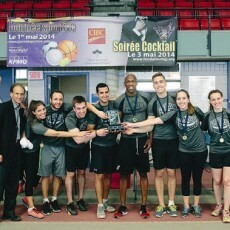 The 17th Annual JGH CIBC Athletic Day and Party (formerly known as the Tennis Classic) was one of the hottest benefit events of the spring, attracting over 600 influential entrepreneurs and professionals from diverse backgrounds and age groups and raising in excess of $583,000. 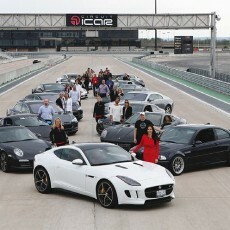 The JGH Foundation held its first annual Luxury Avenue event on May 26 at the ICAR Circuit in Mirabel. The first of its kind in Montreal, the event brought together a sold-out crowd of 200 of the city’s most passionate car enthusiasts for a spectacular day of on-track and off-road racing. 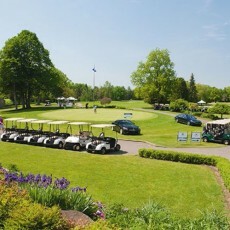 The Jewish General Hospital Foundation held its 22nd Annual JGH Silver Star Mercedes-Benz Golf Classic in honour of CGI, Canada’s largest IT service provider, and its President & CEO, Michael E. Roach, on June 2 at the Elm Ridge Country Club. In an effort to control its finances and return to a non-deficit budget, the Quebec Government has required that all publicly funded institutions respect, to the letter, the operating budgets that they have been allocated.